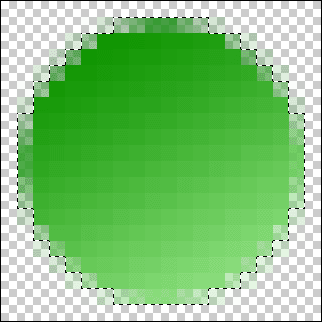 Alot of people use a soft yellow colour for smilies, but just to be different we’re going to go with a lime-green colour scheme for this tutorial. 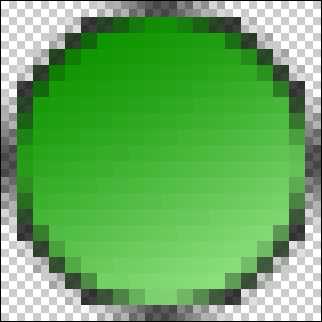 Take your Gradient Tool (Hotkey: G) and apply the following colours to your palette (#A8F099 and #0E9400). Check that you have the following settings with your Gradient Tool first, then drag your mouse from one corner of the canvas to the other. We’re now going to apply an outline around the outside. First press CTRL + J to duplicate the layer, followed by going to Layer > Layer Styles > Blending Options… and navigate to the Stroke category neat the bottom of the menu and apply these settings. 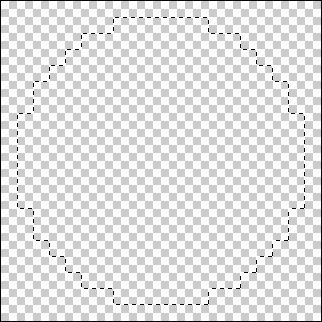 Now use the Lasso Tool (Hotkey: L) to manually draw a “grin” shape around the bottom of your smilie (if you miss a pixel or two, just hold shift and hightlight that area to add it to the current selection). Once you have done that, duplicate the layer again (CTRL + J) and fill with a pure white. Next we want to reduce the blackness around the mouth area on the newest layer so navigate back to the Blending Options > Stroke settings category and reduce the Opacity to around 15%. And now we can finish off with the eyes (with happen to be the easiest part). Simply select your Brush Tool (Hotkey: B) with a black colour and draw two straight lines down the centre (or slightly at an angle for a different perspective) of the face for the eyes. And you’re done! Just save your work in .gif format with the Transparency option ticked and your brand new forum smilie is ready! Why not experiment to see what kind of unique forum smilies you can come up with? Good luck!